What is Bipolar disorder - Manic Depression? What is Bipolar - Manic Depression? Bipolar disorder, which used to be called Manic Depression, is a disorder of mood, characterised by extreme mood swings. The mood swings are episodic - in between episodes the person is usually completely well. Bipolar is a mental illness, but is also described as a neurobiological brain disorder. A person fluctuates between high mood “mania” and low mood “depression”. For those who have bipolar manic depression, you will notice that you have highs and lows. You will go from a very high and exciting time to a low and depress time. For those who don't know, they are both very extreme. Basically, you will find your entire life in trouble. Your entire life will begin to fall apart. You may lose control of everything from work or school to the relationships that you have with other people. Depression has been something that in mythology was even affecting the Greek gods when it was known as melancholia, which meant black and bile. It was something viewed as being in an awful state of mind. It also means mental anguish and that is really how we got the words depressing and manic. People have been dealing with bipolar disease since the existence of man and there are many famous people who have suffered from bipolar disease, as well as many historic icons. Later on during World War II time, it was found that lithium could help out a person with manic depression / bipolar disorder. In the 1950's, hospitals began to use the lithium as part of treatment for the disorder. By the 1970 the FDA or Food and Drug Administration approved it to treat bipolar disorder. Bipolar disorder is something that can be controlled, but not cured. With the help of prescriptions and therapy most people are able to manage their symptoms. Some do require electric shock therapy. Electric shock therapy was used often when it came to helping others with mental disorders many years ago. However, as we have progressed, the past has left electric shock therapy as a final solution. It is very rarely used, and it is usually used when a person with bipolar disorder is placed in a mental hospital. It is something that helps control how patients act, but it is an extreme way of treating the disorder. By simply getting enough sleep and eating properly you can avoid becoming manic and simply just deal with the depression end of bipolar disorder. Many consider the DSM-IV (especially those in the psychiatric community) the “gold standard” in defining any form of mental illness. According to this guide, bipolar disorder is different from other mental illnesses in that it includes at least one or more major depressive episodes in one’s life, with at minimum one “manic” episode. In simple terms, bipolar disorder is an illness often termed a mood disorder, because it affects mainly a person’s thoughts, behavior, feelings and actions. Bipolar disorder, also known as being manic-depressive, is where you are filled with uncontrollable feelings and mood states. You will find that sometimes you are extreme in your actions which can also be inappropriate. 	Inability to stay motivated. 	Sleeping too much, or not able to get out of bed. 	Feeling tired but not sleeping well. 	Periodic or chronic feelings of guilt, worthlessness and sadness. 	Ignoring one’s responsibilities, including important ones like caring for family members. 	A decline in normal interests or activities. 	Feelings of hopelessness that persist. 	Inability to decide and mental confusion. 	Suicidal thoughts and feelings. Mania is much different from depression. Manic episodes are more often characterized by very upbeat behaviors, to the point they become dangerous. 	Inability to sleep, and lack of need to sleep. 	Feeling energetic despite not sleeping. 	Acting unusually extroverted, extravagant and recklessly. 	Spending lots of money and feeling super human. 	Feeling like someone can do anything, whether proper or not, or legal or not. 	Feeling like the king or queen of the world. 	Experiencing increased or heightened sexual behaviors, including cheating or engaging in risky sexual acts. 	Appearance of paranoia, hallucinations or delusions of grandeur. 	Feeling filled with too much energy, to the point where one can’t stop. Often patients with bipolar disorder do not recognize mania, they are just glad to be feeling anything but depressed. A patient who doctors diagnose as having bipolar disorder typically describes experiencing full symptoms of depression during depressive episodes and full mania during manic episodes disorder. There is another form of bipolar disorder doctors call bipolar II disorder. This bipolar disorder is similar to bipolar I, only instead of experiencing full mania, the patient experiences what many call “hypomania”. 	Having higher than normal levels of energy and feeling over confident. 	Ability to focus better than average on daily tasks. 	Feeling more creative and innovative than usually. 	Able to conquer ordinary problems without hesitations. 	Feeling like one can achieve anything and do what they like, just short of engaging in illegal or potentially life threatening behaviors. Someone who is hypomanic may be reckless, but not to the same extent as a person who is fully manic. Most people who have hypomania feel very happy in this state, and do not want to alter it. It is important however that hypomania receives treatment with depression, so one’s moods remain consistently stable. Hypomania, much like mania, never lasts forever, and eventually a person suffering from bipolar disorder I or bipolar disorder II will fall back into a major depressive episode. Recently the DSM-IV has added criteria for other categories of bipolar disorder, including rapid cycling bipolar disorder. Here a person may switch between a major depressive state and a manic state quickly, within a matter of days, and even ultra rapid cycling. In this state a person may experience depression and mania several times in the same day. There are also forms of “mixed” bipolar disorder where someone may experience symptoms of both depression and mania at the same time. It is all confusing, and challenging, especially for patients suffering during these episodes. When it comes to bipolar disorder, you will find that it is also known as being manic or an manic depressive illness. This is basically where you have mood swings that are very extreme and exaggerate everything. When you go manic you are unable to get in touch with reality. Then there are people who are just depressive, and this is where you are filled with anxiety and sadness. This is where you will feel bad about yourself and you'll even have suicidal thoughts or even attempt suicide. With being bipolar, you will find that there are times when you are going to have highs and have lows. However, you will also notice that there are not many people with bipolar disorder that feels the normalcy that others have. You have black or white, up or down. You will want to make sure that you do everything you can to feel better, but you also need to understand exactly what it means to be bipolar. It is almost like having a heart attack or having an anxiety attack. This can be harmful, because you have no control over what you are doing. You are going to become impulsive and you will make terrible, unthinkable decisions. Now as for the other part, you will feel the depression. You will want to make sure that that you watch the depression part of the disorder because you become low and unpredictable. Your mood swings will happen a few times a day and it can last for months at a time. They tend to think very black and white; they know only the extremities of their actions. They are unable to be normal, because they can not understand what normal is. People who have bipolar disorder are highly at risk for suicide. As for the manic parts of the cycle, it is exhilarated and they will also become very paranoid and irritated. Your thoughts will be racing and your physical or mental state will increase in rate. You'll have plenty of energy and it may even seem like you have too much energy. Also rapid cycling where you go through all the phases four or more times a year. It is where you may find it to be disabling. You will also find that it can become worse when you take antidepressants. This is something that you might want to take in mind when it comes to the disorder. There are different types of bipolar disorders and that is bipolar type 1 and then bipolar type 2. There are very different when it comes to how extreme the person is. But, there are many symptoms and help you get treatment. You will find that the depression will recur and come and go very spontaneously. You will find that the mood swings will have a pattern, but it will usually crash into a very deep depression. When it comes to the depression, you will find that there are two parts. You will have the manic state and then you have the depression state. In the depression state you will find that your self image will be very poor. You will have feelings of worthlessness and you'll begin to withdrawal. There are, of course, the basic depression symptoms like tiredness, sluggishness, insomnia, sleeping during the day, loss of appetite, weight loss or gain, unable to think, unable to concentrate, loss of interest in life, and thoughts of suicide. You may just find it hard to get up from bed every morning, but there are lots of things that will affect you. In the manic state you will find that you'll be elevated in mood, racing thoughts, increase in goods, inflated self esteem, less of a need for sleep, restlessness, weight gain, control of emotions, and increase in social activities including sexual activities. You will find that they will stop thinking before they do something and that is when people tend to really get hurt. It's like being on speed. You may even begin to see or hear things because of how fast your blood is pumping. You'll also begin to lose control of yourself and your life. You will become impulsive. Mania can range from elation (hypomania) through to manic illness. Hypomania - Activity and thought speeds up, there is less need to sleep, mood is high, with a sense of well being but there is often irritation and intolerance towards other people. Ideas flow quickly and thought processes are relatively intact. The person feels well and in control - but may not see the consequences of his or her behaviour and may react angrily if confronted. People may refuse medication or suggestions to seek help. Perception and creativity is heightened. Libido often increases and the person may form sexual relationships without considering the consequences. Acute Mania - If hypomania is not treated, lack of sleep and high level of activity may lead to acute mania where thinking is disjointed and distorted. The person talk so fast that other people cannot understand the flow of thoughts. Hallucinations and delusions are common and may appear very real to the person. The person risks accidental injury and is usually not capable of looking after him/herself. People with heart problems may be at high risk of heart attacks during acute mania. A person may spend excessive amounts of money (which they usually don’t have), delve into risky ventures or increase gambling due to an increased optimism. Delirious Mania - The person appears confused and bewildered and appears very disturbed. This stage often follows some days or weeks of not eating or sleeping, so the symptoms may be caused by poor nutrition and physical exhaustion. Without treatment, people can and do die in this stage of manic illness. This stage is often mistakenly diagnosed as a schizophrenic illness. Depression is the opposite of mania. Thoughts are slower, mood is low and there may be feelings of sadness and emptiness. Thinking is difficult and it is hard to make decisions. The person may be unable or uninterested in performing everyday tasks. Sleeping is disturbed - it may be difficult to get to sleep with periods of wakefulness in the early hours of the morning followed by oversleeping into the late morning. The person may have an increase in or a complete lack of appetite. •	Bipolar I - the person has episodes of mania and depression which are severe. •	Bipolar II - the person has episodes of hypomania which generally do not disrupt normal activities. People often only seek help for the episodes of severe depression in this type of disorder. •	Unipolar Depression - the person has depressive episodes only, but treatment with antidepressant medication may trigger mild mania. •	Unipolar Mania - uncommon; the person has only episodes of mania but does not experience episodes of depression. •	Schizoaffective Disorder - the person has symptoms of mood disorder and also has some symptoms of schizophrenia. Episodes are distinct and the person is often well between episodes. •	Mixed States - sometimes mania and depression happen at the same time: the person may be laughing and crying at the same time or feel sad but driven to high levels of activity. •	Rapid Cycling Disorder (4 or more episodes per year) - many more women than men develop rapid cycling moods after a number of years of mood disorder. •	Euthymia - a period of being well: most people with mood disorder have long periods of being completely well between episodes of mood disorder. What Causes Bipolar - Manic Depression? 	Biochemical imbalances, where chemicals in the body become imbalanced resulting in rapid mood changes. Many refer to these as neurotransmitter imbalances, and relate to levels of neurotransmitters in the brain including norepinephrine, serotonin and dopamine, all of which affect our mood. 	Changes in the sensitivity of receptors in the brain and on cells in the brain that react with neurotransmitters. That means some receptors in the brain may not be as sensitive to important signals affecting mood as others. 	Genetic causes, since many people with bipolar disorder have family members with a history of mental illness or bipolar disorder. This may suggest there are genes in the body linked with bipolar disorder. 	Social and environmental factors, including one’s upbringing and history of neglect, abuse or other trauma. Exposure to pollutants or toxins may also contribute to some of the common symptoms of bipolar disorder. 	Any combination of these individual reasons that work together to result in symptoms. There is an endless debate in the medical community about whether bipolar disorder is a “disease” or a biopsychosocial disorder. A “biopsychosocial disorder” is a complex disorder that involves many different parts including social, environment, physical and other causes. The brain is an organ that may become infected with a disease, but bipolar disorder is not a disease doctor’s can clearly see or diagnose. Rather, it may display as a combination of physical features, psychological and social parts or ingredients. One may consider it both a disease and disorder, but for purposes of this book, it most closely resembles a mental disorder. Psychological “ingredients” to this disorder may include your personality, the way you deal with emotions, any stress you experience daily or experienced in the past and the way any environment influences your behavior. Social causes may include your communication ability, the way you learned to communicate and interact with others and any factors like a history of neglect or abuse that may affect how you socially interact (or do not interact) with others. It has been theorized that people with bipolar disorder will be affected by the genetic makeup. When it comes to the genetic factors, you will find that parents who have bipolar disorder or more likely to pass it on. Also, when it comes to twins, they are more likely to get the disorder if they are identical twins rather than fraternal. There is an 80% rate of twins developing the disorder if it runs in the family and if they are identical twins. There is also a lot of research to support the theory that it is something that can be inherited. When it comes to inheriting the disorder you will find that it is because of the transmitters or neurotransmitters. This is from using drugs during the pregnancy. Most people who use drugs and drink while carrying a child, they will end up having a child with the bipolar disorder or other mental and neurological issues. You will also find that there are stress factors that will affect your life. Some people develop the disorder because they have something terrible happen to them. This can be things like death of a family member, loss of job, a new addition to the family or any added stress. It can be anything that will cause you to have tons of stress. Once the stress triggers your bipolar disorder you will find that it may develop further and become part of your life. Bipolar mood disorder is thought to have a genetic component. In families where one person has manic depressive illness, there are often other family members who have episodes of depressive illness or hypomania. It is not known if there is a “gene” for bipolar or if it is a vulnerability to severe mood swings that is passed on through families. Some physical illnesses, recreational drugs and medications can have an impact on mood swings. Depression is common after viral illnesses such as the flu and glandular fever. Mood swings can also be caused by viral or bacterial infection in the brain. If there is no history of mood disorder in your family then you should have a full physical check up to find out why you are having mood swings. A number of medications for other illnesses (eg: hormone preparations and medication to lower blood pressure) can trigger mood swings in some people. SAD (Seasonal Affective Disorder) Syndrome - some people have distinct mood swings at particular seasons of the year. Depression is more common in winter and mania more common in spring and summer. Alcohol Abuse - Alcohol is a depressant drug and also prevents the body using vitamin B properly. Many people with mood swings use alcohol to change the way they are feeling but alcohol use can make the mood swings worse. When it comes to childhood disorders and dealing with things like bipolar disorder, you may find that the doctor is going to throw out some big words and a lot of disorders, however, it is something that you will want to take inconsideration when it comes to dealing with your child. You don't want to have your child highly medicated. Children are to get in some trouble, but it is when they are unable to enjoy life and control themselves when you have to get medical help. The only thing is that most kids are diagnosed with bipolar disorder when they really just have ADHD or vise versa. While there are a lot of similarities to the two disorders, you should be able to tell the difference. You will notice that there are tantrums when it comes to ADHD, as well as, bipolar disorder. With ADHD you will have extremely destructive behavior. This is because they are triggered by stimulation and they will lack the ability to make something positive out of their life. Most of the time when it comes to ADHD, the out of control behavior is from the conflict that the child will have with authority. The difference between bipolar disorder and ADHD is that not everything comes from frustrations. You throw fits, not because you can help it, but because you have no control over your life. You will want do everything that you can to make sure that your child knows that it's not okay to do the things that they do out of ADHD. That is because everything that is done is out of their own frustrations. However, when it comes to bipolar disorder it is something that affects a child similarly, but they cannot help their mood swings. They can't help, but to be mean at one point and nice the next. It's just a part of who they are. There is nothing that shows where it is coming from or how you get the disorder, however, you should know that it is linked with genetics. You will want to make sure that you do everything that you can so that your child can get diagnosed with the right disease. You will want to make sure that you take your own time and do some research so that you can verify everything that the doctor is telling you. You will want to make sure that you do everything that you can to help your child get better and by getting to know the difference between ADHD and bipolar disorder. Normally most people will be diagnosed by the time that they are 25. The cause of the disorder is unknown; however, genetics has been linked to the disorder. There are people who are affected by the disorder that is more than just the person. In fact, you will find that the disorder will affect everyone around you. There are many people living normal lives that have bipolar disorder. Some of the world’s most creative minds, including Albert Einstein, may have had bipolar disorder or bipolar disorder. If you have bipolar disorder, you are in good company. The suicide rate for those who have the disorder is higher in females than males, but it does increase your likelihood to attempt suicide by 20 times. It is something that is really hard to deal with and this is something that you are going to have to give your support to before things go too far. For those who end up being in love with someone who is bipolar, they have a lot to deal with and they are going to have to be a strong person. The divorce rate for couples that have one person diagnosed with bipolar disorder end up having a 90% divorce rate. It is very common in those who are bipolar. It is because you go through so much that can put burdens and strains on the marriage. For those who have bipolar disorder it is possible that some type of genetic disorder that causes it. Iif you have at least one close relative with the disorder you will be able to get over the depression and the manic. And twins are more than 70% likely to become bipolar. They have found that it is because of genetics that people are being affected from the disorder. If you have a good support system when it comes to the disorder you'll be able to make something out of your life and get some normalcy. You may find that the medications and treatments that you are on now could be the thing of the past to the future. Some day these scientists are going to come up with a cure, however, until that day you have to learn how to take things one day at a time. Those who have bipolar are aggressive at times and they can harm others if they are not treated with the disorder, yet when it comes to kids, things aren't very different. When it comes to this disorder, you will find that there are going to be some signs to help you deal with a possible child with bipolar. First you will find that these are very common symptoms. You will notice that there are separation anxieties, tantrums, irritability, mood swings, hyperactivity, impulsivity, and distractibility. You will also notice that your child will begin to be more outrageous and silly. They will use their goofiness to hind the fact that they have racing thoughts. When it comes to young children they may even become very aggressive. You may find that their tantrums can get worse over time and it's all because they are frustrating with a lot more than what you realize. You will also notice that they will have social anxiety and be difficult to wake up in the mornings. They may even seem depressed or oversensitive. Also, if you have a young man in your home, you will also notice that they may end up wetting the bed more and more often. However, trouble sleeping and have nigh terrors is normal for both sexes. You will notice that they may even develop compulsive behaviors. There are things that will seem out of place with your child. They will seem different for their age. They may have thoughts of suicidal and deal with other things. If your child is drawing out morbid pictures you may want to talk to them. The best thing that you can do for your child if you are seeing a difference in them is to simply talk to them. When you talk to things out like the way that they feel or how their day affects them, you will find that you can make a difference. There is a huge difference to a child who has been able to talk their feelings out with their parents. It is only best that you take the time to talk things out and see what it is that the feel. This will make a difference to the child and to the their world. When it comes to bipolar depression you will want to make sure that you don't abuse drugs and drink. Most people who are bipolar end up feeling like their life is out of control. In fact, most people are unable to appreciate life because they have extreme ups and downs. You are going to need to seek the medical treatment that is proper for your type of bipolar. Also, you are going to find that when you are addicted these symptoms are going to get worse and worse. For those who have SUDS or a Substance use disorder they will tend to have symptoms of the bipolar disease to begin with, when you add the drugs and the disorder together, you will find that things can turn out to be very bad for you. You will find that if you take the time to get help with your bipolar disorder and you take the medication with the drugs, you are even in worse condition. You need to get help if you have an addiction and you're bipolar. If you don't get help for your addictions you are going to find that the mixture of your disorder and the drugs you are going to end up making bad choices. First the disorder is going to make feel very down. You are going to eventually feel like doing something to harm yourself. If you don't quit using you are going to end up dead. There are lot of people who are using who are not getting treated for their bipolar disorder. In fact, there is a high occurrence rate with those who have mental disorders and those who have addictions. The high occurrence might be because they are unable to deal with their feelings. You may find that if you are able to overcome everything if you are able to make good choices and the first choices that you are going to make is to get help, it is very important that you seek treatment for your bipolar disorder and also you should get help with your addictions so that you can begin to really feel life. You should save yourself now and seek the medical treatment that you need to move on. 	Contact your local Depression and Mood Disorders Association for support and see if they have a newsletter for people who are associated with these disorders. You can treat bipolar disorder by taking medications and by going to therapy. When you get the help that you need you'll notice a change immediately. You will notice that you will feel better about yourself and you'll feel better about everything that is going on in your life. Most people tend to calm down and find that gray area. With the help of counseling, you'll be able to find yourself recovering from the disorder quickly, but it's not something that can be cured. Bipolar disorder is something that can only be controlled. When you take control of your bipolar disorder you will find that you can feel so good about yourself that you are able to set and strive for goals, as well as, use hard work to get the results that you are looking for. There tons of people who have troubles with bipolar disorder. A lot of people who are celebrities and actors or actresses are dealing with bipolar disorder too. There are a lot of people all over the world who are dealing with the mood swings..
Bipolar type 1, Bipolar type 2, Cyclothymia, and Bipolar disorder NOS or Not Otherwise Specified. Depending on the amount of manic depressive moments you will be categorized into one of the four. There are some people who have one or more manic or mixed episodes in a very long time, and these people are categorized in Bipolar 1. You will also find that this is the more frequently diagnosed type. When it comes to type two, you will find that it happens more often and that you have at least an episode or two of hypomania. As for being cyclothymiacs, it is where you do not meet the requirements of having major depression, but it is still involving some low types of cycling moods. However, there are people who have the symptoms of bipolar, but they just do not seem like they fit into a category. This is where you would be put into the class of bipolar disorder NOS. This is because they aren't quite sure where to put you on the scale. Many people develop the disorder through trauma, but they can make a full recovery within a few years. Once you end up getting a good diagnosis you'll be able to face the disorder and get the right treatment. You will be more likely to have periods of normalcy when you get medicated and join therapy. There are many things that you will be able to do to treat your bipolar. You will find that are things that you can do like watch what you eat and get plenty of sleep. You also want to make sure that you don't smoke or take any drugs and alcohol because you may do some really awful things when you mix the two. Mania - Major tranquillisers are used to treat manic illness. Lithium is also used to treat mania. It is not a tranquilliser and does not prevent the normal range of emotions - it is a mood stabiliser. Some anticonvulsant drugs have been shown to prevent manic and depressive episodes from recurring. Depression - There are a number of different types of antidepressant drugs. For people who have bipolar disorder, antidepressant drugs may cause hypomania or mania, therefore antidepressant drugs are often taken with a mood stabiliser such as lithium. Medication must be monitored so that the dosage or drug can be changed if it does not seem to be working or causes other problems. Counselling and Therapy - Counselling and therapy involves developing inner strengths, capabilities, resources and potential. If you plan to work with a counselor or therapist you should take your time selecting one. Not every therapist you meet with will have the right style of therapy for you. You may also find you do not like the therapists personality. You don’t have to go to the first therapist you find. If it helps, take a trusted family member with you to interview the therapist before you begin formal therapy. What you DO want to do is make sure you find a therapist that knows about treating someone with bipolar disorder. This will ensure you get proper treatment. A family and marital counseling therapist for example, may not be the best person to go to for advice about your mood disorder. Ask your therapist many questions to set up rapport and help establish more comfort. Try some of the following, they will help put you at ease. 	How many patients have you treated with bipolar disorder, and how many years have you practiced? 	Do you have experience counseling family members of patients with bipolar disorder? 	What types of treatment would you recommend (like cognitive behavioral therapy for example)? 	How often would you recommend I come for therapy? 	What are your policies about cancellation and payment? 	Can I call you if I need to? 	Do you have a back-up person to refer clients to in cases of emergency when you are not available? 	What resources do you have that can help me cope with my bipolar disorder? Psychological counseling can be helpful and encouraging for addressing severe mood swings, anxiety, paranoia or perceived stigma one may face as a patient with bipolar disorder. A skilled counselor can also help you identify the causes, in some cases, of your symptoms or triggers for your symptoms so you can work to reduce them. Another form of natural therapy, one not often mentioned, is acupuncture. Traditional medical practices often use acupuncture to reduce many symptoms including pain, migraine headaches, chronic anxiety and other symptoms. If you do decide to try acupuncture, make sure you seek the care of a licensed and qualified practitioner, preferably someone with experience treating patients with mood disorders. Your counselor may even know someone to refer you to. Meditation is something you can do on your own time, a skill you can learn to help reduce anxiety, relieve insomnia and calm racing thoughts. You can find many guided meditation classes available nationally. Your therapist may also have some recommendations, or you can try reference books for more information. Doctors often use medications to control the symptoms of bipolar disorder. Some work well in some patients and not well in others. It is important if you use medication therapy that you and your doctor allow the medication time to work. Some medicines may take weeks or a couple of months before you notice a dramatic change in symptoms. Many patients want to feel better immediately and may switch or argue to switch medicines too quickly. This can lead to increasing doses or abrupt changes that can worsen symptoms. If you see a psychiatrist for medication therapy, be sure you find one skilled in treating bipolar patients, as managing mood swings is a fine art. They will have a better understanding of how to treat your symptoms and regulate medications during treatment. While undergoing treatment, you should be sure to ask questions, report any side effects of your medication and find out as much as you can about your medications and possible interactions when a doctor prescribes them. Also find out how long it will take before you will begin to notice any changes in your symptoms. Sometimes it can take a few weeks for medication therapy to start working. Some medicines work faster than others, but have higher chances or risks for side effects. 	Lithium – Often referred to as a “mood stabilizer,” this treatment is often the gold standard for patients first diagnosed with bipolar disorder. It is useful for combating mania, and often used as a continuing support treatment for patients. Regular blood tests are necessary for patients undergoing this therapy. 	Anticonvulsant Medication – There are many medicines, including depakote and carbamazepine used to treat manic and depressive episodes. Like lithium treatment, these treatments are often used as mood stabilizers. These medications treat seizure disorders like epilepsy, but prove helpful for some patients with bipolar disorder. 	Atypical Antipsychotic Medications – These medications can treat mania only, but may also act as a mood stabilizer in some patients. A doctor may prescribe these medications even without the presence of psychosis, and in fact often do. Typically this class of medications work to calm down people and reduce symptoms of delusions or paranoia when present. Examples of commonly prescribed medications include Zyprexa, Risperdal and Abilify. A doctor may use other medications as adjunct therapy with the above listed primary medications. Examples may include short-term use of benzodiazepines. These medications often work to help insomnia and relieve anxiety. It is important if taking medications you talk to your doctor about the possible drug interactions and side effects. Most of these medications have side effects that may include: trembling, weight gain or loss, fatigue, sexual dysfunction, rashes and more. Some of the side effects depend on the dose one has to take. It is important you talk with your doctor about the possible side effects, and weight the pros and cons of the side effects versus managing your symptoms. Sometimes doctors use medications, including adjunct therapies for short-term periods, while they prescribe others indefinitely. Antidepressant medication is also sometimes prescribed in low doses, but must be used carefully because of the likelihood that they may cause a manic episode. First, when it comes to treatment, you may end up being hospitalized. This is only when you are unable to control your symptoms and it is for the best interest of the patient for others. If you go in and get the help that you need, the medication will help you to sustain your entire normalcy. You will be given antidepressant drugs and you will be given a range of other drugs to help control your manic and your depression. There are lot of people who are given the antidepressants so that they can stabilize their moods. This is where electric shock therapy is put into some use. 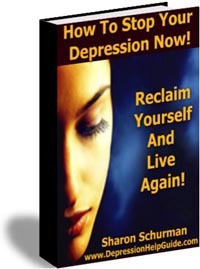 It is only to treat those who have severe depression and may become manic. When you are on some of these therapies, you will also want to join a support group or get some therapeutic help by seeing a doctor. This will help you from turning into a manic depressive person. With the support groups you will find that by sharing the common experiences and problems of the bipolar. You will feel a lot better about yourself when you try to get your bipolar disorder treated. There are some negative side effects about the medications and treatments and that is where it will begin to put a strain on your relationships and finances. You may also become easily addicted to things like drugs and alcohol (hoping to find a cure for your sadness), however, you will have to realize that nothing can help cure your problems, but they can only bring out the best or worse out of yourself. Most bipolar medication you will find that there are three types of medications. First, you will find there are tricyclics, then there are MAOI's or Monoamine oxidase inhibitors. The last type of medication disorder is lithium. .With these medications you are going to notice a quick change in yourself. The change will begin with 72 hours of use. Most people feel the need to quit their medication when they begin to feel better, however, you should never stop taking your medications until your doctor tells you to. When you take your life into your own hands you may end up making some very bad decisions. Some people will seem great when they first get off the meds, but they will take a quick and terrible turn for the worse. Sometimes when people get off their meds they go crazy and start thinking thoughts like suicide and they may even try it. The medication is what will stop you from having a manic episode. It isn't making you feel better, but it's preventing you from having one, not making your manic episodes go away for good. You will notice, however, that your doctor will prescribe your medications and then monitor you. You will want to make sure that you don't watch your medications. You should never mix medications with the over the counter meds or even use meds that aren't prescribed for you. You will want to tell any doctor that you are on these medications because they can't be mixed with most other drugs. You will even want to tell your dentist before they use any medications to help you. Be sure that you ask your doctor about what drugs you really need to watch like things for common colds or a headache. There aren't many medications that you can use when you are on bipolar medication. For those who have bipolar disorder, they tend to have issues with their mood swings and the way that they feel about their life and how they look or feel. When it comes to getting medicated or treated for the disorder, you will most likely get on lithium. Lithium will help you in different ways. First, you will find that it will mange all of the side effects that you may have from the disorder. Then it will help you to avoid having manic depression periods. It is still not known what exactly the lithium will do to the body, the results are well-known. It will affect your nerve cells and it will make your body adjust to the bipolar disorder and help take control. There are people who take at least 900 mgs of lithium; however, you may end up taking lower doses so that you can get the stabilizer in your mood swings. Your doctor will find out how much you need by giving you a blood test. Also, you will need to get checked regularly so that you don't get too much in your blood stream by getting a blood test on a regular basis. Your doctor will make sure that you are in the right zone with your medications. When it comes to the side effects of the disorder, you will find that you may get things like kidney problems and psoriasis; however, you will be able to avoid those things by regulating your levels of lithium. The doctor will keep a close eye on your lithium levels so that you can avoid these side effects. In addition, you may end that you will become very dry in mouth and that you will end up drinking a lot more than usual. For those who are taking a high amount of lithium, they will end up drinking so much that it can disrupt your sleep. There are also people who get a very sensitive stomach. They become sick with nausea very quickly. You may also develop tremors or shaky hands. This is just very common for those who have issues with their blood pressure. Most people will gain weight too while on lithium. However, for those who think that they may get pregnant, you may want to check with your doctor to see if you are able to regulate your bipolar disorder and still be able to carry a healthy child. However when it comes to starting your medication, you will find that you will be given a small dosage of lithium and then the levels will go up so that you can regulate your need for the medication without being over drugged. Your doctor will explain how to take the medication, but most people will take two pills of low dosage and it is usually in the morning and before bed. You will find that when you get treated for bipolar disorder that you are able to get many different types of treatments. You will most likely be put on some medication and then you will want to join group therapy or just see someone that you can talk to and let out all of your frustrations, however, there are some people who need to go to the hospital to get help. You will find that when it comes to the hospital that you may be given ECT or electroconvulsive therapy. This is also called shock therapy. This is when the lithium does not help, and some people even think that it is safer than to be on the medications like lithium. You will find that there are many benefits when you take ECT as a treatment. It is very helpful for those who cannot wait for the medications to kick in. These people need to be highly medicated so that they can get a grasp on life and on the disorder. This is something that many people go through when they are first being diagnosed. In addition, you will find that there are patients with extreme mania; you will notice that this is among the elderly patients. If you have problems with the depressive phase and suffer suicidal thoughts. This is where you will want to get the ECT treatment to help you get to control yourself. You will find that there are just people who prefer to be on the ECT treatment rather than meds or anything else, especially those who are pregnant. You can't take the medications when you are expecting, but you can do ECT. That also goes for anyone who can not take the drugs for medical problems like heart disease. When it comes to the side effects of the disorder, you will find that there are things like temporary confusion, memory lapses, muscle soreness, heart disturbances, nausea, and headaches. You will find that this is a treatment that the FDA has approved as a treatment, but you will also find that it has some effects on the brain. There is no evident shown for permanent cell damage, however, you will notice that there are effects that are temporary. In addition, these side effects tend to be rare, although, you can get them. The way that you react to such treatments depends on the person. You will want to talk to your doctor and see if ECT is right for you. You do not want to go through something like this without knowing your options. Talk to your doctor and see what is best for you. You will also want to talk to the doctor to see what type of side effects that you should expect from the treatment, however, it's anyone's guess on how you could react, but you will feel better knowing all the possible things that you should begin to expect. There are a lot of people who end up having such highs and lows that they literally end up hoping to die. It's hard to deal with something so serious like bipolar and it's something that many people are trying to overcome, however, you still need to know how you can survive bipolar disorder so that you can make something of your life and learn how to enjoy. First, you should know that medication and psychotherapy is something that you are going to want to take very seriously. This means that you are going to have to use the meds and go to therapy so that you can keep your illness under control. There is something else that you will have to recognize. You will want to recognize the cycle of your depression and your manic episodes. When you do so, you will be able to find out if your meds and the therapy is working or if it is not working for you. You will also want to jot things down that triggers your manic states. You may find that it could be test anxiety. It could be work anxiety, or it may be something very serious that is affecting your life. You need to be aware of what triggers your cycles so that you can avoid them and begin to feel better about yourself. You will find that these situations will help you to learn and understand the disorder. When you go to therapy you will be able to accept the disorder and be able to accept yourself. There are many types of therapy that you can get involved with. You will find that you can go to a family therapist, interpersonal therapist, and a cognitive behavioral therapist. It's all because it depends on the different feelings that you may have and the different types of bipolar disorder. You will also find that there are things that you can do to help you get over your bipolar symptoms. You will be able to do a lot for yourself when you take the time to quit smoking and drinking, but also eating a well-balanced diet and be getting enough sleep. When it comes to being bipolar, you are going to go through a lot of emotional issues. You are going to have to learn with the ups and downs, as well as, the side effects to your treatments. This means that there are going to be times when you are going to be difficult to get along with. You also are going to find that it is going to be hard to deal with someone with the disease; however, if you really love them, you'll be able to deal with the disorder and find ways to make your relationship better. There is much you can do to help reconcile your emotions, feelings and symptoms so you can lead a rewarding life. You do not have to struggle endlessly with bipolar disorder if you take steps to take charge of your care and your life. The first step you have to take is educating yourself about your condition. You are doing this just by reading this guide. Once you do this, your next job is to become actively involved in your care from day one. Too many patients leave care up to their doctors. Your doctor should be a key player in your wellness, but not the only person who dictates your care or decides what care is best. One way to care for your body best is to develop a wellness team. This team should include trusted individuals you can count on for support and help during manic or depressive episodes. You are an integral part of this team, the center of this team. You decide who YOU want to be a part of your team. At any time you have the right to change your mind about who is on your team. You should include trusted people because as a patient, there may be times when you are not able to think clearly. When this is the case, you should appoint a trusted member of your team to act as your representative and make sure you get safe and proper care. This person may be your partner, a parent, a friend or one of your doctors. YOU decide. When you are an active participant in your self-care, you will learn to manage your disease better. You will find your highs and lows more manageable, and will have confidence in knowing you have a support structure of individuals readily available to help you. You might consider adding an emergency contact, or “go to” person to your team, someone you can count on if you find yourself in a bad place. Let’s say for example you are suffering from severe depression and have thought about suicide. This is the time to go to your go to person and count and rely on their counsel and advice. If you educate yourself about your disease, you will become the best person to help when you start to experience a manic or depressive episode. To do this, you first have to learn as much as you can about how bipolar disorder affects you. Remember, everyone is different, and bipolar disorder does not affect everyone in the same way. So make sure you get to know your disorder. Learn to distinguish the tell-tale symptoms of a manic episode so you can seek help before you enter a fully blown mania. You can also help others by writing down your symptoms so they too can let you know if they suspect you may be entering a zone. Sometimes, it is difficult to discern whether you are having an episode or just having a good or bad day. The good news is there are many tools you can use to help you learn how to do this. Your psychiatrist or counselor should be able to provide you with tools like checklists or quizzes you can take to identify whether you may be experiencing the start of an episode. Most healthcare providers will also recommend you keep a daily journal of your feelings and moods. This can be insightful for finding out when you are entering a bipolar mania or depression. The more you start recognizing your body, and gaining tools that will help you control and manage your disorder, the better prepared you will find you are to face the world. Why not start right now? You can start a journal by simply buying a calendar with a large enough space for you to write in. Simply jot down the symptoms you may be having. Alternatively, just write down how you feel. You can take this with you to your doctor’s appointments if you want for a closer look at how well you are doing. Many patients with bipolar disorder get so bogged down by their disorder they forget that life is fun. Try to make a habit of getting out-of-doors to exercise. Try learning a new hobby or doing something you enjoy. Set up a routine that works well for you and keeps you feeling comfortable, happy and anxiety free. Exercise always helps boost the spirits, even if it is for short bouts of time. If you have a hard time doing this, ask a member of your wellness team to help you along until you are able to manage on your own. A big trigger for depressive and manic episodes is stress. It is important you work to unclutter your life and reduce your stress to the best of your ability. How do you do this? First, identify the primary sources of stress in your life. Are they financial? Work related? Family related? Once you identify the sources, you can work on an action plan to resolve them. You may not be able to magically wave a wand and make all your debt disappear, but you can work with a financial counselor to help reduce the stress associated with keeping up with the bills. If work causes you stress, find ways to decompress at work. If you find your disorder prevents you from working, know there are many laws that protect you and your job, so you shouldn’t have to stress about that. If you are trying to get a job, there are laws that prevent your potential employer from asking you if you have a disability and inquiring about your medical history unless you volunteer that information. So you have no duty to tell your potential employer you have bipolar disorder. If you have to undergo a pre-employment medical exam, typically an employer must provide reasonable accommodations to individuals with medical conditions or disabilities. If your disability or condition doesn’t cause undue hardship, you should have nothing to fear. Many employers by law will work to accommodate a medical condition. They may offer, for example, to change your work assignments or hours to help you during episodes or while you seek treatment for your condition. Know the employer will make these accommodations only when they do not cause undue hardship however, meaning they are not excessively costly, unsafe or disruptive to the work environment. The good news is you have control over your ability to work. If you think you are going to have a severe episode, let your employer know and work with them to find out what accommodations you can work out to lessen any problems. Sometimes you may qualify for medical leave under the Family and Medical Leave Act. Generally you will have had to have worked with your employer for a minimum number of hours (about a year). This leave can provide you with periodic leave or long-term unpaid leave if needed. Now, when you have a job, how do you cope? A job is stressful sometimes, as is life. You may find part-time work more suitable, or a work environment offering a flexible schedule. You may prefer a work routine that provides you with predictable hours and assignments, to reduce your stress. You may find it better to demote or find a job that is less stressful than try to cope with a stressful job if you currently have one. Herbs and related supplements are one natural treatment alternative for patients. Some patients prefer to use natural treatment choices as stand alone treatment, whereas others use them in combination with medication and psychotherapy. Work with your health care practitioner to find out what is best for you. 	Black Cohosh – This may affect one’s hormones, which may be one cause for symptoms of bipolar disorder. If you suffer from bipolar disorder, or any related condition, it is important you eat well to nourish your body. Deficiencies of vitamins and minerals can contribute to your symptoms. Deficiencies of vitamins and minerals in anyone can contribute to symptoms including anxiety, depression and poor health. Here are some other supplements and nutrients that may prove useful for combating the symptoms of bipolar disorder. 	Essential Fatty Acids – Essential fatty acids are important for our entire body to work properly. They nourish the brain and may help reduce symptoms of depression. You can get essential fatty acids by eating more fatty fishes and flax seed or by taking a supplement. Some healthcare providers recommend as much as 5,000 I.U. or more for patients with severe depression. Be sure you check in with your doctor. Most over-the-counter supplements contain only 1,000 I.U. per serving. Bipolar disorder is a complex and often misunderstood disorder that affects millions of people every year. It is important that patients understand their disorder is one that they can live with, and even learn to enjoy life with. There are many misconceptions surrounding bipolar disorder. Bipolar disorder is not a disease involving “crazy” people acting in absurd or dangerous ways. There are times when a patient’s symptoms may become very serious. In cases like this it is critical a person seek professional care and guidance. Bipolar disorder does manifest in many different ways. It can for example, manifest as a mild disorder with mild mood swings, or a major mood disorder with swings that are very extreme. There are many approaches to treating this disorder. A patient suspecting bipolar disorder or one with a confirmed diagnosis should always work with a competent doctor or other healthcare provider they can rely and trust on in times of need. Also important to one’s health is his or her ability to build a supportive wellness team. Your wellness team can help you during the tough times, offering support and helping you make critical decisions when you may not be up to it. The most important step a patient can take, the one that will ultimately lead to their success and fulfillment, is to take a proactive role in their recovery and in their care. To do this, you must first embrace and accept the fact that you have bipolar disorder. Once you do this, life gets a lot easier. You can then help manage your disorder by working actively with each member of your wellness team as well as with members of your family and your healthcare team to create an action plan that allows you to live a happy, healthy life. Many people live with bipolar disorder. Your job is to learn to not only live with, but also learn to enjoy life with bipolar disorder or any serious ailment. You will notice that everyone has their ups and downs, but you will also find that there are many feelings that you are going to have. You are going to feel happy, sad, angry, frustrated and more. You will also find that the essential part of the disorder is where you are going to feel the mood swings. You are going to feel like you are losing control. You will find that your feelings and mental health will just seem to be going around in circles. There are researches that you have proven that the experiences that families go through with a teen or child with the disorder. What is Bipolar disorder manic depression? SITE DISCLAIMER: Do these products “cure” anything? Of course not… but it stands to reason that if you cleanse your body and feed it the finest nutrition available, giving it everything it needs in balance, on a daily basis, that your body will do what nature intended, and give you the best possible chance to fend off sickness and disease. This Bipolar disorder - Manic Depression information is not presented by a medical practitioner and is for educational and informational purposes only. The content is not intended to be a substitute for professional medical advice, diagnosis, or treatment. Always seek the advice of your physician or other qualified health provider with any Bipolar disorder - Manic Depression questions you may have regarding a medical condition. Never disregard professional medical advice or delay in seeking it because of something you have read. Any natural and/or dietary supplements that are not FDA approved or evaluated must be accompanied by a two-part disclaimer on the product label: that the statement has not been evaluated by FDA and that the product is not intended to "diagnose, treat, cure or prevent any disease”. The Bipolar disorder - Manic Depression resources on this site are not intended to be a substitute for professional advice. While all attempts have been made to verify information provided in this publication, neither the author nor the publisher assumes any responsibility for errors, omissions or contrary interpretation of the web site Bipolar disorder - Manic Depression subject matter herein. The what is Bipolar disorder - Manic Depression site Bipolar disorder - Manic Depression contents are solely the opinion of the authors and should not be considered as a form of advice, direction and/or recommendation of any kind. If expert advice or counseling is needed, services of a competent professional should be sought. The what is Bipolar disorder - Manic Depression author and the Publisher assume no responsibility or liability and specifically disclaim any warranty, express or implied for any products or services mentioned, or any techniques or Bipolar disorder - Manic Depression practices described.